Did you just embark on your first antibody search? Not sure where to begin? Well, it's actually not as simple as you might think. Even though antibodies are central to basic research as well as drug/therapy development and diagnostics, finding a primary antibody that works well in an experimental context is a Herculean task. In addition, antibodies have been identified as major contributors to research irreproducibility (Baker, 2015). Poorly characterized antibodies have resulted in substantial wasted money and unfounded scientific conclusions. In one case, scientists researching on pancreatic cancer spent almost 2 years and $500,000 investigating CUZD1 using a commercial ELISA assay that turned out to measure the CA125 antigen instead (Prassas & Diamandis, 2014). Why is this important for you? Scientists like you need to be aware that antibody products with questionable quality do exist in the market. These products often lead to inconclusive findings, waste significant amounts of research time and grants, and may attract your boss’s ire. Finding reliable antibodies that work well in an experiment usually requires a little trial and error at your end but there are some steps you can take to avoid the loss of money, time, and effort. The following tips can serve as a guide for selecting and purchasing the right antibodies. Before you start selecting an antibody, try to learn as much as possible about your target of interest. Genomic/protein databases such as GeneCards, NCBI, Human Protein Atlas, or UniProt are good resources to start your investigation. You can collect information about alternative names (aliases, synonyms) for your protein or gene and its isoforms. When researching about antibodies, it may be helpful to understand which part of the protein the antibody is targeted against. 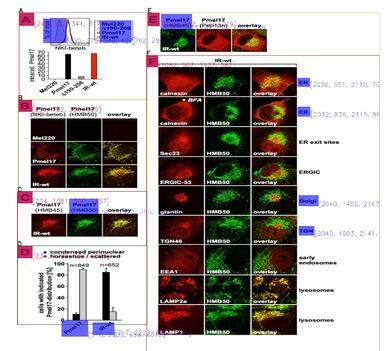 This becomes relevant when your protein of interest has several isoforms, to be assured that the antibody will recognize the right isoform you wish to research on. In addition, you can use BenchSci during your preliminary literature review to learn more about your target of interest. BenchSci has compiled alias lists to allow for a “search one, search all” approach, leading to comprehensive results in a single search. After gathering information from multiple resources, you can formulate your hypothesis and start designing the experiment. Specifically, you can finalize the technique and the species to work with. Biomedical scientists trust peer-reviewed publications to guide their antibody selection. A literature review will allow you to find antibodies that have worked for other scientists in an experimental context similar to yours. You can perform a literature search on PubMed to find publications featuring antibodies that target your protein of interest. Based upon the quality of data, relevance to your target, completeness of product/vendor information, the application you intend to use it in, and publisher’s access policies, you can save the publications for future reference. However, finding this information manually is difficult, time-consuming, and error-prone. Fortunately, to save your time and effort, there are additional resources available to help you select the right antibody. To learn more about your target of interest, you can visit the open access Human Protein Atlas (HPA) portal. Consisting of 3 parts—Tissue Atlas, Cell Atlas, and Pathology Atlas—the HPA allows you to perform a systematic genome-based exploration of the human proteome using antibody-based proteomics. In the HPA, a multitude of physiological and pathological human samples have been characterized using antibody-based assays such as immunohistochemistry, western blotting, and immunofluorescence. Using the integration of various omics technologies, the HPA’s proteome analysis covers 26,009 antibodies that target 17,000 unique proteins. Antibody comparison sites such as Biocompare, CiteAb, Antibody Resource, and BenchSci allow you to find and in some cases even compare antibodies from several vendors. This saves valuable research time that is otherwise spent visiting each vendor’s website separately and allows you to evaluate the cost and relevant antibody data from multiple vendors in one central place. You can read our previous blog, providing an in-depth comparative analysis of different search engines designed to help scientists find the right antibodies easily. 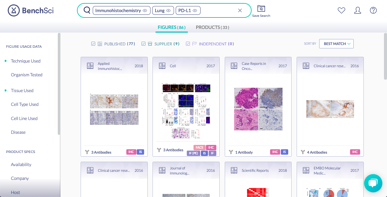 When looking for antibodies, you can first narrow down your search by filtering for the name of the target protein, techniques, and species you intend to work with. This helps you find antibodies that have been used in or are recommended for use in, similar experiments to your own. You can also consider the host in which the antibody is raised, depending on the species you work with and the secondary antibodies available in your lab. On BenchSci, you have access to these filters and many others such as disease context, cell/tissue type, clonality, etc., to further narrow down the results to the best possible antibody for your research. If you are unable to find a suitable match in your species of interest, you can look for cross-reactive antibodies against your target of interest and perform a bioinformatics analysis to predict whether the antibody will work in your species. Using a similar approach, BenchSci has prepared cross-reactivity data on over 400,000 products to predict whether an antibody will recognize your target of interest in your species, even if it isn’t vendor-recommended. 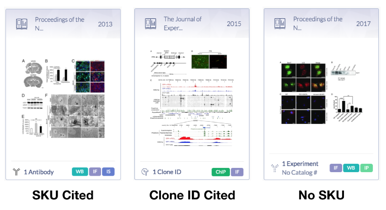 Alternatively, you can also search by clone ID and find an antibody that may work well in your experiment. You may want to carefully review the scientific literature and vendor-provided validation data. Use your scientific judgment here; be wary of substandard or incomplete publication and vendor-provided data while selecting an antibody. When purchasing antibody products, most scientists trust publication data from high-impact journals that have strict guidelines against scientific fraud. On BenchSci, you can filter your results by impact factor to select antibodies with good-quality data. Did you find this guide helpful? 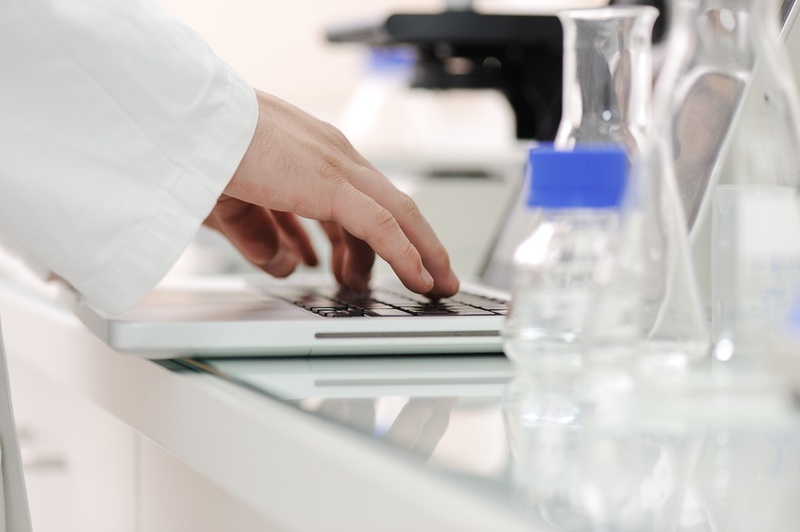 Are there additional steps that you take for your antibody search? Let us know in the comments and we'll update the article.